« Erich Medelson, Hans Scharoun and Iakov Chernikhov, Do the “conscious inspiration chain” strikes again?…. I must confess…. it makes it more interesting when it comes to famous architects…. 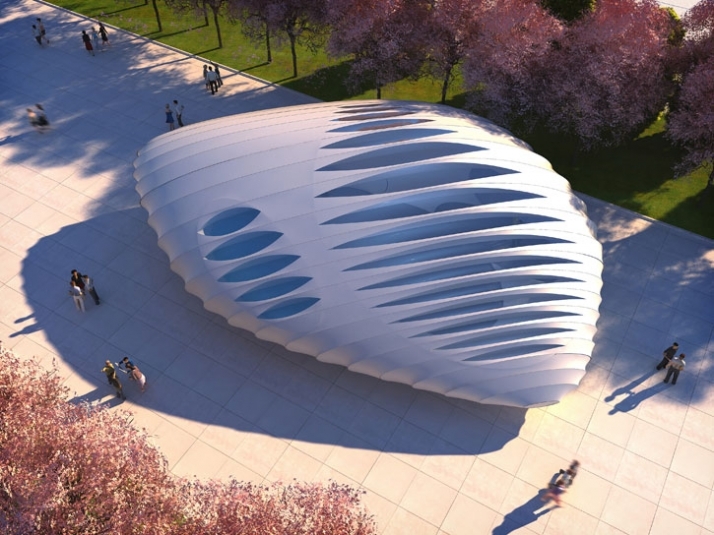 Zaha Hadid is certainly one of the most influential architects working today. Does Zaha Hadid implement intuitively the “Conscious Inspiration Method” to design unique structures? This functional core is then loosely wrapped, as though draped with fabric, in a metal skin that follows the shape of the site, creating something of an urban sculpture. At piazza level, the building is transparent. The pavilion is composed of an intricate bent-aluminum structure Outer and inner fabric skins are wrapped tightly around the metal frame to create the ﬂuid shape. Notice to the recurring themes of the two pavilions Fabric skins wrapped tightly around a metal frame, inspired by the fashion industry. 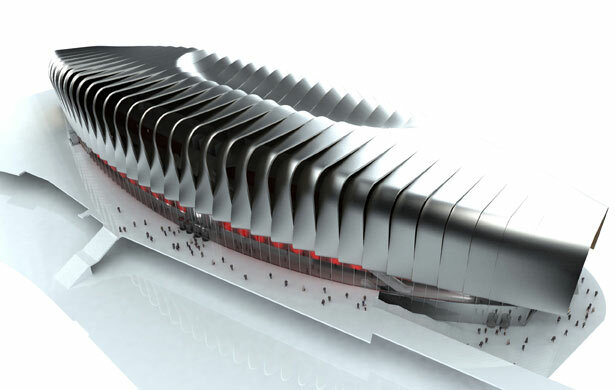 This entry was posted on January 30, 2012 at 8:52 pm and is filed under public buildings with tags Burnham Pavilion, Conscious Inspiration, Conscious Inspiration Method, CONSCIOUS INSPIRATION PAGE, Garibaldi Exhibition Building, Grimshaw Architects, wrapped softly, Zaha Hadid. You can follow any responses to this entry through the RSS 2.0 feed. You can leave a response, or trackback from your own site.